Kingston Black: Dark red bittersharp, most famous cider apple. In addition we have 153 perry pear trees and a dozen old traditional Norfolk cultivar for fun! 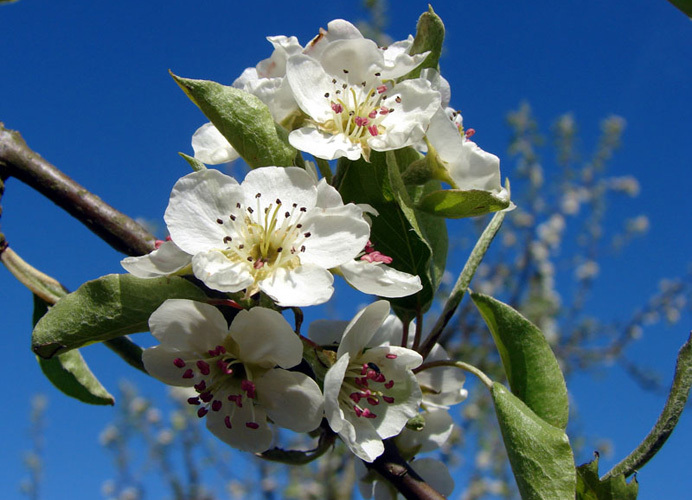 Click on the photos below to see some images of our Orchard. Perry pears are quite unlike ‘normal’ pears. They tend to be small, sharp, bitter and gritty. Despite this description, they make a drink with much more character than perry made from eating pears. They also make magnificent trees! Perry pear trees are very long lived, perhaps 2-300 years and grow very large. A mature, 100 year old Moorcroft tree could might reach a height 0f 70ft and 40ft across and even a small cultivar like Thorn will reach 30ft high. Mature perry pear trees can still be seen in the West Midlands and in Normandy but in decreasing numbers. Perry pears are virtually unknown in East Anglia. A trial planting in 1908 by J.B.Chevallier at Aspall Hall in Suffolk was unsuccessful as the trees refused to crop. At Whin Hill, we planted 60 trees in 1994 which cropped after 5 years and are now producing around one to two tons a year. In the winter of 2004/5 we planted an additional 93 trees which all survived their first year with most trees fruiting in 2006. The trees are planted at a low density of 110 trees per acre on vigorous rootstocks. 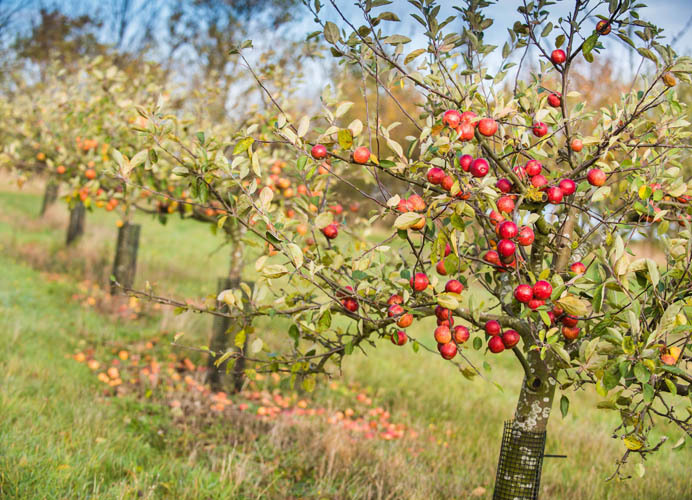 This planting method produces an orchard layout which is halfway between the old standard orchards and a modern bush orchard. Now 20 years, old the trees are cropping heavily! 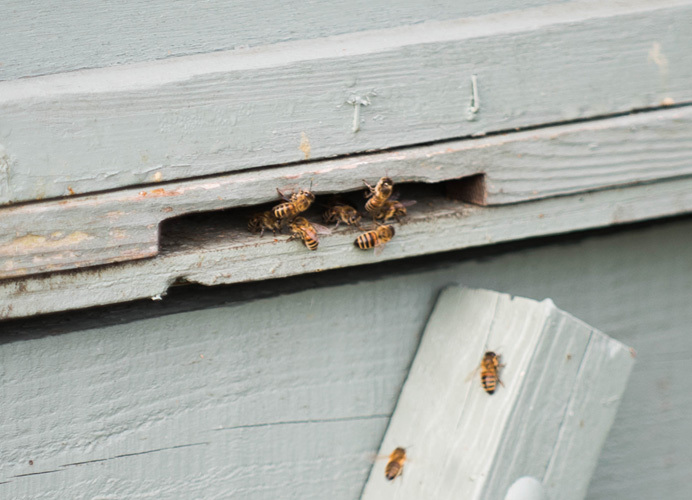 In addition to producing an annual crop of quality fruit from our orchard, we aim to provide a natural, sustainable habitat with a rich biodiversity with many different species of flora and fauna. 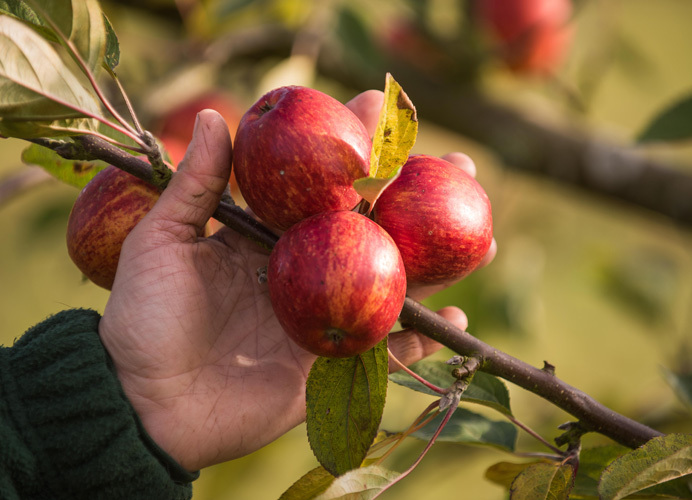 Click here to see how we have created a thriving natural ecosystem within our Orchard. We practice a low input management regime on our Orchard. 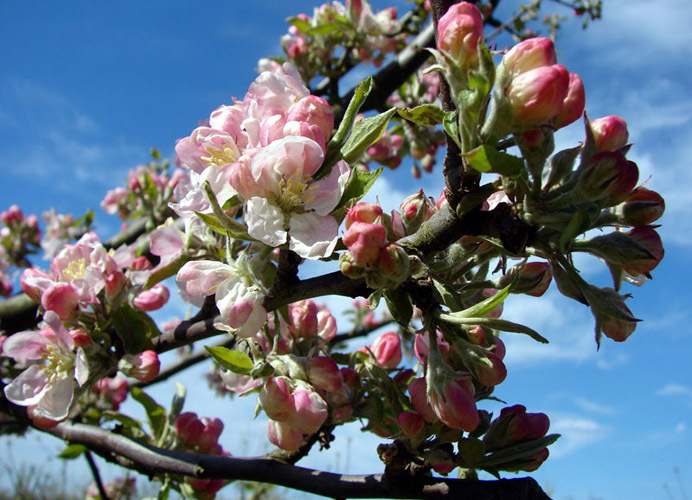 The cider apples receive at most one insecticide spray a year and up to 2 fungicide sprays. The juice apples need to be sprayed up to 6 times a year against Apple Scab (Venturia inaequalis). This is an extremely prevalent fungal infection of apple trees which can lead to a significant reduction in yield and in extreme, untreated cases, can lead to the death of the infected tree.